Fractional laser treatments with the state-of-the-art Cynosure® Affirm™ system can entirely rejuvenate and tighten your skin, starting with your first session. You can get personalized fractional laser treatments for a wide variety of skin imperfections at the practice of Kevin McMullen, MD in Oklahoma City. Schedule your skin rejuvenation consultation online, or call the clinic directly to book. What can the fractional laser treat? Fractional laser treatments help restore your youthful glowing skin and help you look more radiant, without needing to experience a painful surgical procedure. What happens during a fractional laser session? Dr. McMullen uses the most advanced laser fractional system on the market: Cynosure Affirm. During your skin rejuvenation treatment, he glides the handheld applicator over your skin. The Affirm system delivers two different energy wavelengths designed to get rid of old damaged skin layers, while simultaneously rejuvenating and stimulating new skin tissue and collagen production. The entire in-office treatment requires no downtime, so you can get right back to your daily routine afterward. 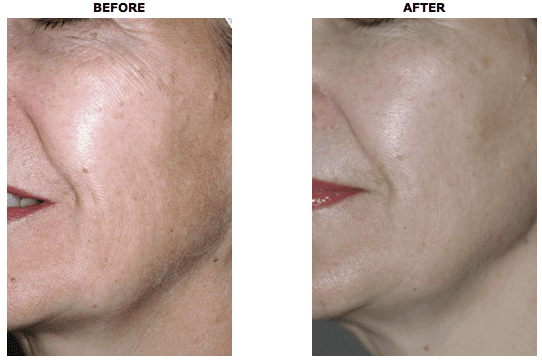 Is fractional laser skin rejuvenation painful? Usually no, although some areas are more sensitive than others. For instance, because the Affirm laser reaches the deepest layers of your skin, you could feel some discomfort when you’re having your face treated, particularly around your mouth or along your jawline. Even though most patients tolerate fractional laser treatments well, Dr. McMullen may suggest applying a topical numbing cream or ice pack before your visit. This is especially helpful if you know you have a low pain tolerance or are having a sensitive area treated. How many fractional laser sessions do I need? Dr. McMullen finds that most men and women who opt for fractional laser sessions with the Affirm system experience dramatic results within about three to four weeks of their treatment. For optimal results, you could need a series of four to six sessions each month. Once you achieve visibly brighter, firmer, younger-looking skin, Dr. McMullen often suggests coming back in once or twice a year for maintenance treatments. Find out if fractional laser skin rejuvenation is right for you by booking a consultation at the office of Kevin McMullen, MD. Book online or over the phone.